There is only ONE game remaining in the College Football and that will take place TONIGHT when Georgia and Alabama face off in the National Championship game. The TWO teams have had GREAT season thus far, and will look forward to make it even GREATER. The Semifinal games were INSTANT CLASSICS, and we can all HOPE that the National Championship game is the same way. I did NOT have a GREAT week picking games last time around and thus CLINCHED a LOSING record for the season, I PROMISE I will get better NEXT season. As always, I have the recap of Last Week’s picks followed by the Pick for the National Championship game. I am picking only ONE game this week. This is the battle of the TWO best teams in the SEC according to the Selection Committee. It was the FIRST time in the SHORT history of the College Football Playoff that TWO teams from the SAME conference made it to the Playoff and BOTH those teams WON their Semifinal game to advance to the National Championship game. Georgia is the SLIGHT underdog in this game despite being the HIGHER seed, simply because Vegas fully believes the theory that, “You cannot WIN Money betting AGAINST Alabama”. These TWO teams are very SIMILAR in playing style and this game is going to be a defensive battle between TWO of the BEST defenses in the country. I LOVE the UNDER in this game, if you are someone that bets the Totals. Georgia head coach Kirby Smart used to be the UNDERSTUDY of Alabama head coach Nick Saban before taking the job at Georgia. Smart would LOVE to spoil the dreams of his FORMER boss, but Nick Saban in BIG games is a CRAZY animal. He has appeared in FIVE National Championship games at Alabama before tonight and he has only LOST one, which was a last minute LOSS against Clemson last year. All year, Alabama has been playing the “Nobody Respects Us” card as a MOTIVATIONAL tool, but they will not need it anymore as I am picking them to WIN this game tonight and COVER the spread on the way to their FIFTH National Championship in their current DYNASTY. Well you heard it here FIRST folks, Alabama will be the National Champion once again according to me. This concludes the College Football Picks part of my blogs for this football season. 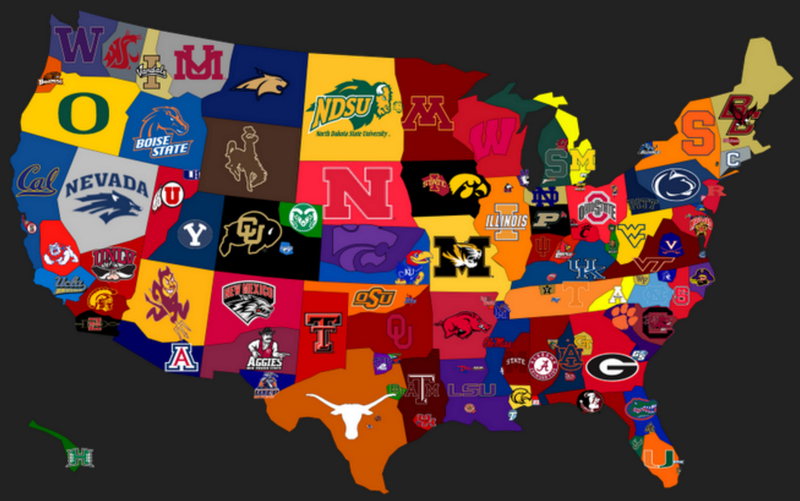 It was my FIRST season looking at College Football season factoring the point spreads and even though I did NOT do as good as I would have liked, I enjoyed doing these blogs every week. Labor Day weekend will be here in no time when the College Football Picks will make their RETURN.